These days we all tend to inhabit smaller and more compact homes. Space is at a premium, and because of this, we see more and more people living in modest, tiny and even cramped homes. However, just because you have a small house, it doesn't mean you can't have a well organised and functioning space. Whether you live in a tiny apartment or condo, or perhaps a large and luxurious mansion, practical management of your domestic accoutrements is essential. Storage comes in many different shapes and forms. You may require a little extra closet space, or perhaps some under-stair cupboards to get everything in order. Your small home needn't be cluttered, cloistered, or disorganised, you can simply implement some handy suggestions to create a newly organised and well-maintained dwelling. If you need a little assistance in deciding how to update, renew, and reorganise you home, check out the images and examples below! First things first—shelving is one of the most important aspects of home organisation, not only do shelves help to keep everything in their right place, they can also look fabulous. Corner shelves are particularly handy, and make the most of an awkward and often useless area. If you are considering corner shelves, make sure you have them installed correctly to ensure years of safe and effective use. In this example we see a compact home that brilliantly utilises corner shelving as well as all-around room shelves to organise every book and ornament within the space. As well as these beautiful LED lit shelves, there is also some custom joinery with drawers and cupboards for extra organisation. How about some under-stair convenience? Underneath stairs is often a disused space that sits unused, and more than likely, filled with household appurtenances. But as those disorganised items of domestic miscellany gather dust, you might consider pondering an even better way to clean up your home. Under-stair storage is an excellent choice for those who live in compact and cramped houses and homes. Think about clearing out the clutter, and installing some custom designed joinery to create an easy and functional living space. This example is a brilliant demonstration of how a compact home can benefit from additional under-stair storage. The coat rack works effortlessly, and would be brilliant for rain jackets, umbrellas, or other accessories. In the smaller drawer there is a space for shoes, keeping them out of the way of the hall, and preventing odour. Under-bed space is dead space. Many homes don't utilise this huge area that can provide a range of options for storing linen, additional pillows, as well as other items such as books, and old papers. Under-bed storage comes in many different forms. 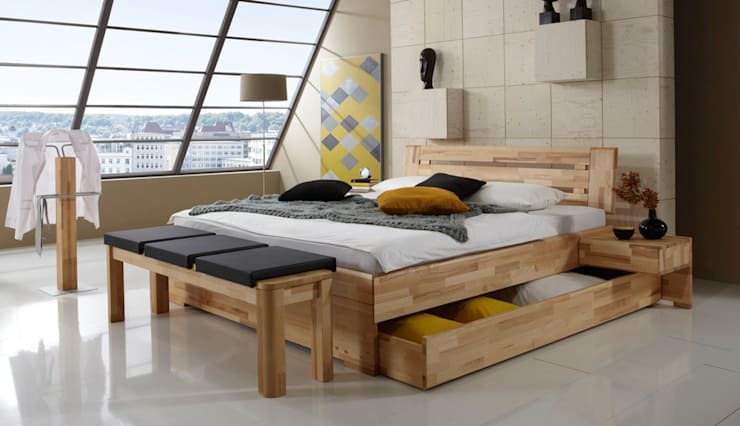 Firstly, there is storage that is retrofitted to an existing bed, such as drawers or pull out baskets, and secondly there are beds that come with built in storage. The latter can take many forms, from drawers to lift up mattresses there are plenty of ways to organise your sleeping quarters. The bedroom and bed here are a perfect illustration of storage under the bed, in a small and compact loft sleeping space. Effortlessly hiding any accessories, this design would work with single or double beds. The pantry is one area that we don't normally think about when we consider revamping our home storage systems, but surprisingly this kitchen essentail is often one the messiest and poorly used areas in the home. 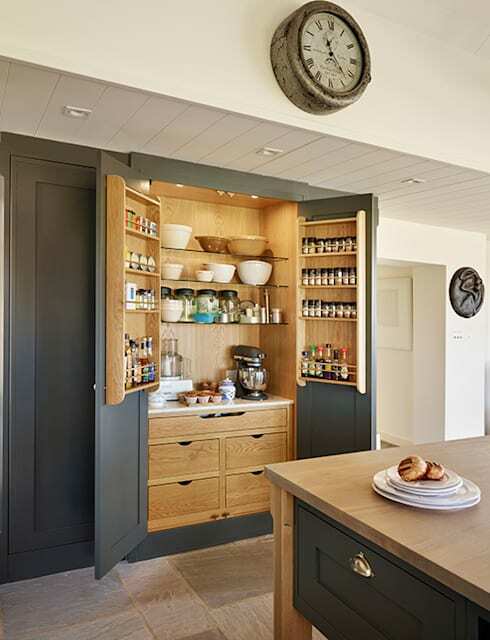 Not only does a pantry have to be used solely for storing food, it can be an excellent area for appliances, recipe books, and crockery, reducing the clutter in your kitchen, and maintaining a sleek aesthetic. Organising a pantry can be a daunting task, often there are multiple considerations that will change the way your kitchen and cooking space function. If in doubt, chat to an expert, and consider some new joinery to make your room ultra-organised and sophisticated. Finally we come to the bathroom, one of the least organised areas of the home. Where else do you find drawer upon drawer of old expired medicines, packets of rusty razors, and a colossal collection of unused lotions? 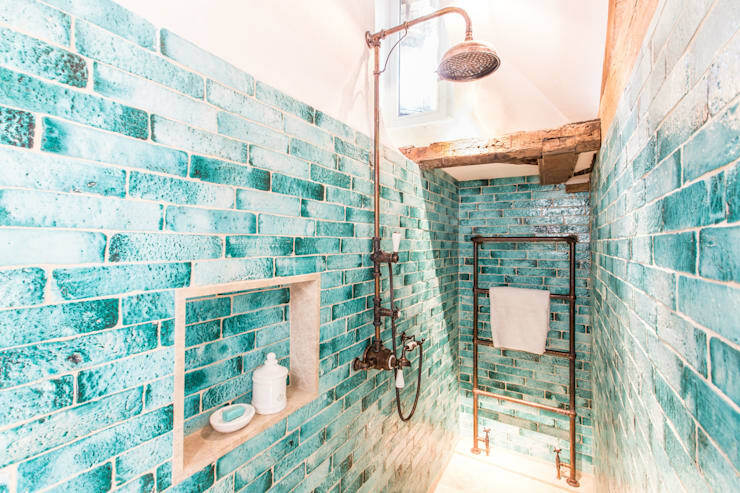 In order to feel welcoming and clean, the bathroom requires a complete overhaul, and an organised ambience. Consider removing some of the drawers that tend to accumulate clutter, and instead invest in some built-in shelving. Shelving is much easier to organise, as it is out in the open, and demands attention. If we take a look at the example above, it is clear this is a compact, yet well-designed space. The built-in shelf is the best feature, which allows the area a handy space for accessories, while also looking open and usable. The other fittings include the towel rail, which works wonderfully to provide a space to hang towels and other accoutrements. The result is a great space that utilises style and smart design to benefit from its compact space. 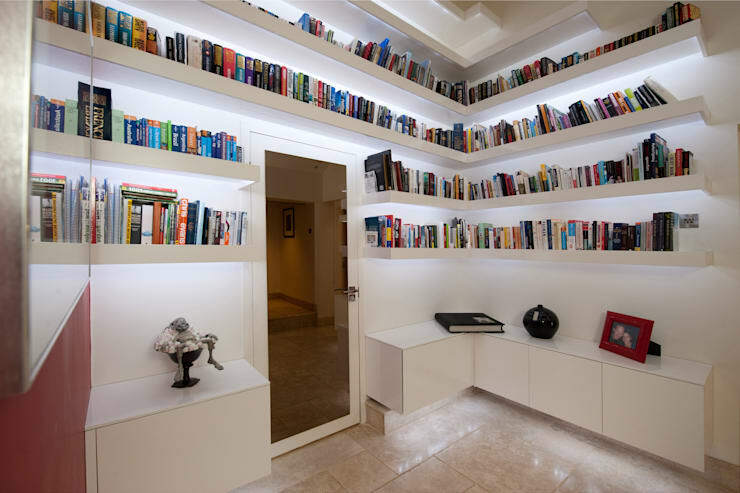 Bookshelves are for more than books! Bookshelves, much like the first point of corner shelves, are an ideal way to ensure you compact home is neat, tidy, and stylish. Built for more than simply books, a bookshelf is a great place to keep home curios, ornaments, and other objet d'art. Above we see a set of bookshelves that have been included in this neat workspace. The area is compact, and the floor to ceiling bookshelves help to give a sense of height, while proving storage to the entire home. Think about adding some small boxes, which can hold many things that often need enclosed storage. As an extra tip, not necessarily storage related, but still a great example of how to save space in a small home, we are taking a quick look at multi-purpose furniture. This fabulous 2-in-1 kitchen island provides a huge amount of storage for the kitchen area, while still ensuring there is room to dine as well. 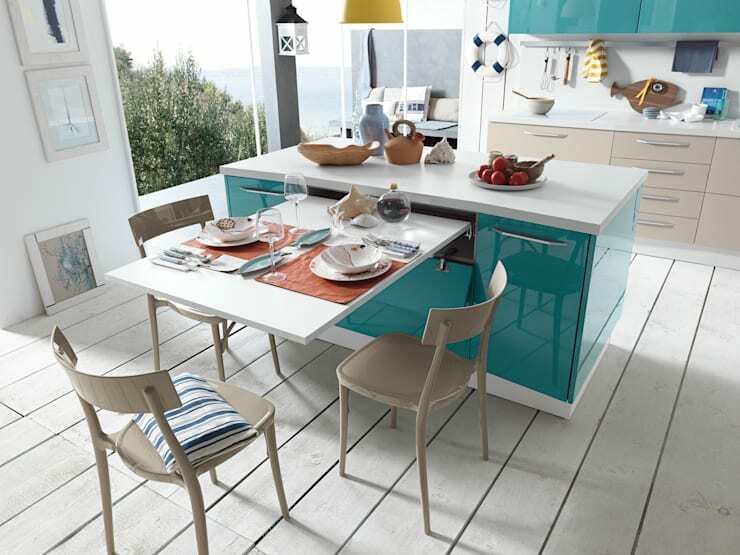 Often in cramped or tiny dwellings, a choice needs to be made between having a spacious kitchen with an island, or having a dining table and chairs. In this example no decision needs to be made as the island doubles as a convenient eating space. By pulling out the table the space can be used in many different ways. This versatile feature is fabulous for those small or compact homes. If you liked that Ideabook, check out another one here: 6 tips to style your home retro! Do you have any other handy tips or tricks for our readers? We'd love to hear from you in the comments below!